For a quote or treatment you can contact us now. Our skilled technician uses the latest in products and equipment, coupled with over 30 years experience in the pest control industry. We know all about pests in Coffs Harbour. With mild temperatures and high rainfall, pests thrive in your area. You don't need to suffer anymore. Give us your pest control problems and let us get rid of your pests. Offering homes and businesses personal service that you can trust. Admiral Pest Control is a husband and wife team, who share a common idea of old-fashioned, compassionate service. Our difference is how we truly work to understand your particular needs, and how we respond to those needs with enthusiasm. Our pest control business in Coffs Harbour is built over 12 years upon successful relationships with our customers. 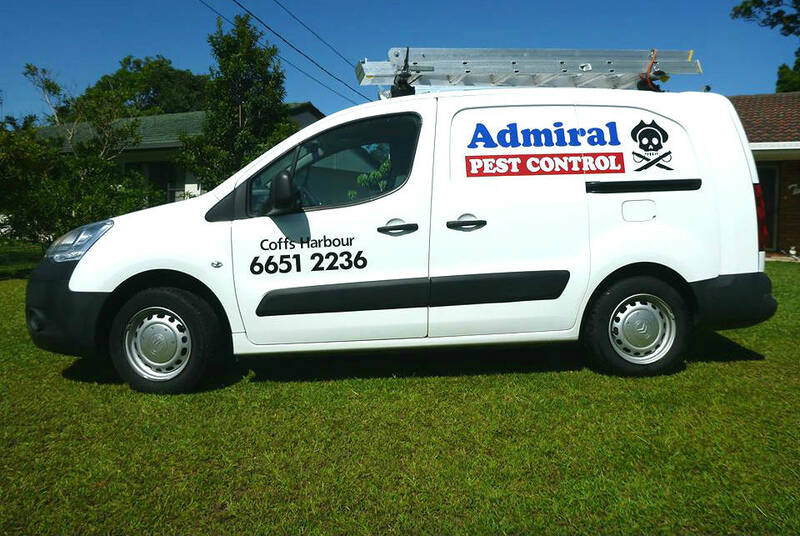 The first thing you may notice about Admiral Pest Control, is that we take our time and complete jobs thoroughly. We will never rush a pest control job, and you will never be left with smells or stains. Your pets will be safe and you can be rest assured that your satisfaction is our number one priority. How many cans of spray have you used on your cockroaches? Admiral Pest Control uses gel bait, which means you don't need to empty your cupboards before we arrive. Stop breathing in toxic fumes from your insect sprays and bombs and give us a call. 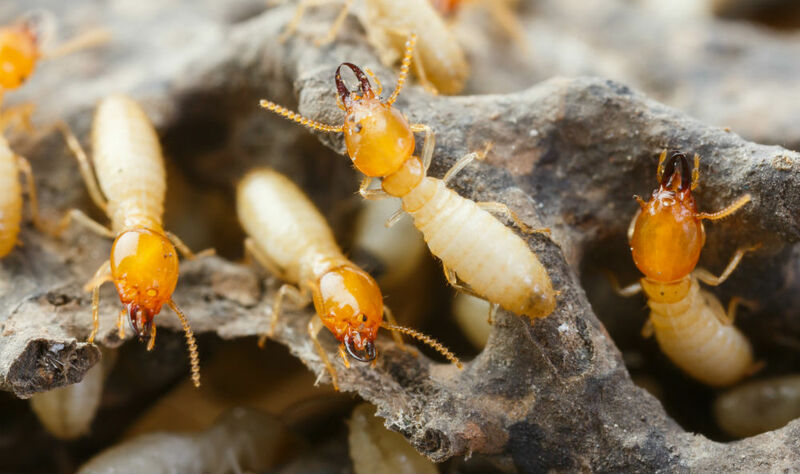 Termites can do considerable damage to a home, and the potential value to your property can be affected by minimal damage. A successful termite treatment involves a thorough termite inspection and agreeing on a method of termite treatment as there are many. Cockroaches can aggravate asthma, spread germs and damage electronics. The solution for cockroach infestation is to use cockroach bait in the affected areas: kitchen cupboards and bathroom vanities usually. We will also dust the roof void. For additional cockroach control a skirting edge cockroach spray with a safe product may be used. Spiders leave unsightly webbing, can deliver a nasty bite and are the stuff of nightmares. In the Coffs Harbour area we have lots of redback spiders and even the occasional white tail spider. We spray eves and walls, under outdoor furniture and fences. We also dust the roof voids to get rid of spiders in this area. Fleas cause itching, scratching and sores on your legs and reinfest your pets. Before spraying fleas, carpets should be vacuumed to remove flea eggs and loose material such as animal hair. We spray for fleas on all your carpet areas, skirting edges and exterior areas where pets may frequent. Today's challenges need a different approach, and the latest in pest control technology. Pest control for businesses involves a thorough pest inspection and familiarisation with the procedures of the business. We apply suitable pest control products at a time best-suited to the business owner. In the Coffs Harbour area we have the paralysis tick, which is deadly to your pets. While most of a tick's life is spent underground, we now we have pest control products to treat them. We spray the garden and yard areas to kill adult ticks and use a tick treatment on the ground to break the life cycle of the tick. Rats can infest your roof where they can chew through your wiring, and leave a foul odour of urine and faeces. The pest control solution for rodent control is to treat rats over several visits. After inspecting the rodent problem we can decide whether baiting or trapping is the best form of rodent control. Mice can get through a hole the size of a 5c piece, so they easily get into your most personal items. A mice infestation will come with a distinct odour associated with their urine and droppings. They can chew through electrical wiring and contaminate food. 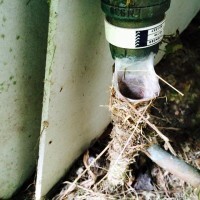 Rodent control for mice involves using strategically placed bait stations. Coastal Brown Ants can transmit stomach bugs, while Black Ants can damage electrical appliances and infest the walls and roof of your house. So an ant infestation is more than just ants running around your kitchen sink. Ant treatment may involve the use of granular baits, liquid baits and spraying ants outside the house. Wasps can cause a dangerous reaction if you're allergic to their sting (anaphylactic shock); and their sting is painful. 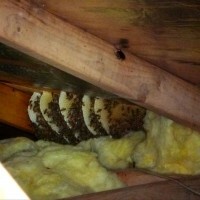 The safe treatment of wasps should be left to experts like Admiral Pest Control Coffs Harbour. We will use protective clothing and spray wasps with products that will disable them quickly. Pantry moths can infest your kitchen cupboards, while clothes moths can damage items in your wardrobe. Moth treatment involves a thorough pest inspection and identifying the species of moth to determine the suitable treatment of moths. We provide pest control services to Bellingen, Boambee, Coffs Harbour, Coramba, Nana Glen, Sawtell, Toormina, Urunga and Woolgoolga. Uses hot water pipe to hold up entrance to its lair.